Boulder, Colorado – Press reports indicate that, last week, an R2 certified company used a bulldozer to bury CRTs and other electronic equipment near its facility in Georgetown, Kentucky. The purported action took place a week after an R2 audit of the facility. Such bizarre, outrageous, illegal, and unethical behavior is hard to fathom and will not be tolerated by SERI or the company's certification body, Orion Registrar. The company identified in the press reports is GES – Global Environmental Services. On October 1st and 2nd, Orion Registrar conducted an audit of GES' Georgetown facility. Serious non-conformities were identified – though none relating to the illegal disposal of material – and the facility was given until October 30th to complete corrective actions addressing each non-conformity. However, based on the egregious nature of the subsequent activities chronicled in the press reports, the facility's R2 certification has been suspended by Orion. SERI absolutely supports this action. There is no room in the electronics recycling industry for the sort of behavior exhibited in these reports. Electronics recycling companies must adhere to a higher standard of conduct – for their own sake, as well as that of the industry as a whole and the environment. SERI is conducting unannounced spot audits of R2 certified facilities. Through these, we have and will continue to identify companies that are adhering to the requirements of the R2 Standard, as well as some that are not meeting all of the requirements. In instances where not all R2 requirements are being met, SERI is working with the certification bodies to address the shortcomings. Raising the bar within the electronics recycling industry is a long-term undertaking. Collectively, we are making progress. Let us continue to do so. Recyclable alternatives are being found for packaging used for fresh and frozen foods. Richard Fuller and Magdalene Sim of Great Forest, Inc. respond to reporter John Tierney's controversial views on recycling. As firms continue to search high and low for affordable and legitimate options for final disposition of CRT glass, several states with e-scrap programs are taking a stance on using the material as alternative daily cover (ADC). Think Inside the Box! – Call2Recycle develops new collection method. Always looking for ways to make the collection site experience easier and more convenient for collection sites, we have developed a new method for shipping battery boxes. Just as with the current kit, the “Box-in-Box” still contains two collection boxes – with an outer box housing a slightly smaller inner box instead of shipping them side-by-side! Starting October 5, 2015, replenishment boxes will ship as one package to all Canadian sites, while US sites will progressively switch to the new box beginning October 12, 2015. By nesting one container within another, we can reduce the space needed for transportation by Call2Recycle’s shipping partners, helping to reduce the environmental impact of our program. This enhancement allows collection sites to dramatically reduce the amount of storage space needed in collection sites’ warehouse(s) or backroom(s). The new kit will include updated box shipping guidelines to help sites familiarize with the new packaging. Thanks again to all sites participating in the Call2Recycle program. For questions about the new box kit, please contact Customer Service at 1.877.224.9764 or 1.877.723.1297 for French support or send an email to customerservice@call2recycle.org. Rob Kaplan, a managing director of Closed Loop Fund, has posted a fact check of John Tierney's controversial 'Reign of Recycling' opinion piece, which was recently published in The New York Times. The piece "astounded" Kaplan and the group by the "sheer number of inaccurate statements and misrepresentations about the economic and environmental impact of the recycling industry," according to a blog post. Between 2013 and 2022 an estimated 6.2 million tons of devices containing cathode ray tube (CRT) displays will find their way from our basements, closets and guest bedrooms into the U.S. e-scrap stream. An additional 330,000 tons of CRT glass are already out there, much of it stockpiled in warehouses across the country by CRT tube processors and intermediaries who’ve either abandoned ship or found there simply isn’t a market for the items. And that’s only a conservative estimate. 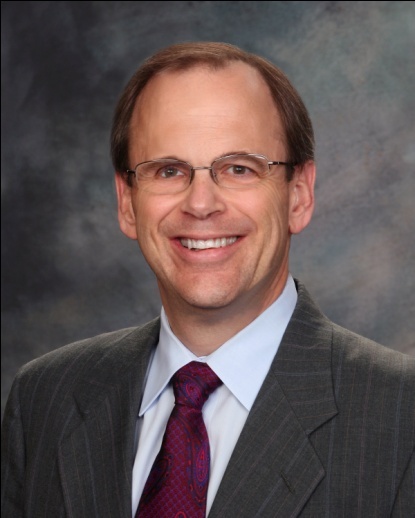 Interview with with Carl Smith, CEO and president of Call2Recycle. Carl is a leading advocate for battery recycling across North America. Carl talks about one of the industry’s biggest issues—free riders. When it comes to increasing battery recycling rates, what do you think are your biggest challenges so far this year? There are two challenges that I think about every day. The first is how to continue to make it easy and important for consumers to recycle products like batteries. The second is to make sure Call2Recycle is sufficiently funded to meet these challenges. Can you talk a little about how Call2Recycle is financed? We have industry stewards– battery and product manufacturers that for the most part voluntarily contribute funding to ensure that the batteries they introduce into the marketplace are responsibly recycled when they reach their end of life. Our steward list includes virtually all of the familiar consumer brands. Fees are assessed based on the number of batteries the company distributes into the North American marketplace. So, what role does a free rider play? The most critical element of our program is that all companies that put batteries into the marketplace should pay for the recycling. But approximately 30% of batteries we collect are from ‘free riders’—battery brands that are recycled through our program but are not financially contributing to Call2Recycle. These batteries are collected because we want to make recycling easy and we want to maximize what we collect. To do that, we don’t differentiate the brand being collected. Who is a typical free rider? Most free riders are manufacturers outside North America. In many cases a second company imports the batteries and a third company may brand and distribute them. It is difficult to identify and pursue the responsible parties due to complex issue of ownership. 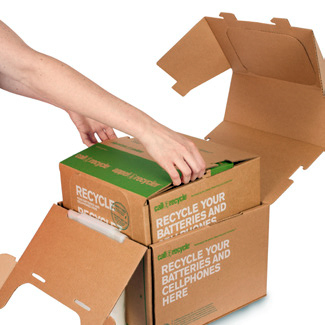 What does free ridership mean for Call2Recycle’s battery recycling program? We have to make up for the funding gap by charging participating companies enough to cover all program costs. We are shifting costs onto those companies that have stepped forward to participate. Companies that don’t participate gain a competitive advantage because they don’t have to increase their product costs to pay for recycling costs. That’s not fair. What are you doing to invite more participation? First, we reach out to these brands and invite them to participate. Some aren’t aware a program exists or that they are required to participate under certain state or provincial regulations. If this isn’t sufficient, we will give the company’s information to the appropriate government agency responsible for recycling enforcement, especially in states and provinces where it is mandated by law. We need tougher laws that require non-participating companies to join a formal program. We are advocating for state and provincial regulations that require manufacturers to recycle their batteries under the threat of penalties, including having their products blocked from being sold within the state or province. In addition, we are now actively considering how to raise public awareness of non-participating companies and their opposition to recycling. We hope that consumers will demand a more environmentally sustainable behavior from these companies. We base our program success on increasing the number of batteries we generate through our 34,000+ collection sites. The more we collect, the more important it is to capture the free riders and get them to participate. All companies have a duty to be environmentally responsible. It’s no longer a choice, it’s a part of doing business. 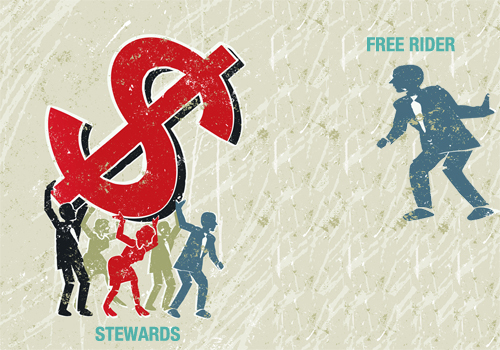 What can consumers do to help get rid of free riders? I recommend several ways for consumers to take action. Buy batteries from reputable companies that are environmentally responsible and fund end-of-life recycling through the Call2Recycle program. You can do this by checking our website for a current list of industry stewards or checking for the Call2Recycle seal on the battery or product packaging. Avoid purchasing brands that don’t have the Call2Recycle seal or aren’t listed as an industry steward on our website. Chances are that they are not contributing to the proper end-of-life management of their batteries in the US and Canada. Encourage your family and friends to do the same. Support battery recycling laws in your state or province. States and provinces such as British Columbia, California, Connecticut, Manitoba, Minnesota, New York, Oregon, Quebec, Texas, Vermont, and Washington have implemented or are considering battery recycling legislation. Contact your local state or provincial representative and let them know that you support battery recycling for all manufacturers.